I love American History... Even the dark embarrassing parts because that's what makes us strong. I know that February has passed us.. we are now in March... but black history month is a time to reflect on those that labored, struggled, and suffered to make this world a better place. It's a time to remember a part of our American history that is often times forgotten. As in years past... I like to go digging for more information about this time period that includes slavery, Jim Crow and the Civil Rights era. The library of congress has been a great resource for me. In Connecticut, Yale University's online library was also a great resource for me. So after my move to North Carolina, I began looking for resources -- here that could help me. To be fair, I knew nothing about this area when I moved here. I had no prior interests or connections here, so it's been hard for me to latch onto the local history. But just as this month is ending, I feel like I'm hitting my stride. My focus was on what is now known as Umstead State park. It was established in 1937 as the Crabtree Creek Recreational Demonstration Area. In 1950s.. the lower portion of the part was set aside for African Americans. It's still the Reedy Creek Section of the park.. but it was reunited with the upper part of the park in 1966. For the month of February, I set off on a hunt for anything to do with the park during that 16-year-long period of time. It was tough. When Google didn't work, I turned to local Wake county libraries. I tried searching through Microfiche film archives.. but I searched the wrong paper.. and without a specific date for any big events surrounding the park... I had nothing to zero in on. All along this journey I'm finding new interesting tales that feel should be told and revisited. Then I began searching through Duke University's Archives . 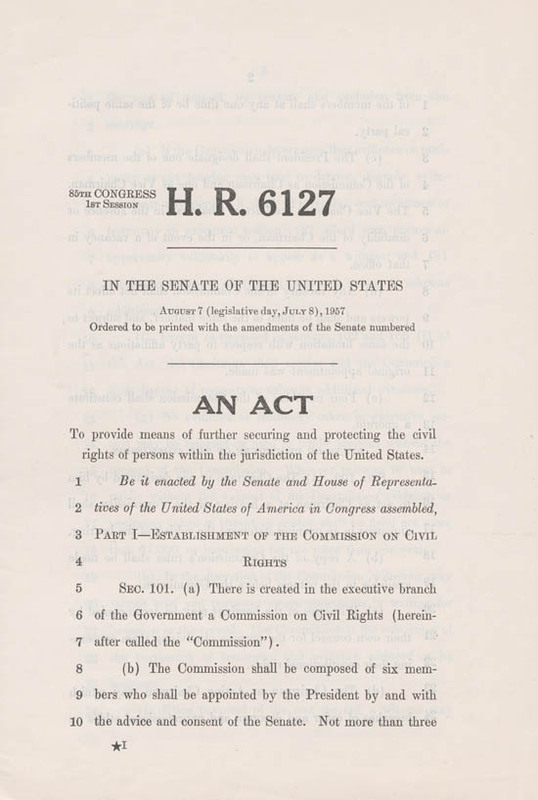 It has a great section on civil rights including the takeover of the Allen building. It was a movement aimed at putting a spotlight on black student needs at Duke University... which lead to the creation of an African American studies department, black student union.. and financial support for black students. Then after trying to find similar resources at other university libraries, I found the State Library Archives... which took me down another road toward discovery. The digitized collection is called African Americans in education. It revealed what are known as Rosenwald Fund Schools. Segregated black schools that in some cases have been preserved and in other cases have been torn down for other developments. I think it's an amazing archive that may lead to a project to go around to each one of these sites and see what -- if anything is left of these old schools. The state Library Archives also has the civil rights collection which includes pictures from sit ins and demonstrations in Raleigh and across the state. I also went to the museum of history.. which is an important starting point for this project. But, unlike many of my other blogs in which I try to wrap it up and put a bow on it... this one is not going to be complete. I'll have to put a "to be continued" tag at the end of this one. Because I want more. I want to go out and talk to people. What I'll be listening for is this phrase "what people don't know is...." That's what I want to look for. Those forgotten or little talked about stories of our past that I was to reveal. For instance, take Reedy Creek. You can go there now and find a huge parking lot with areas for cookouts, restrooms and trails that'll take you down to Reedy creek's lake or take you as far as upper Umstead park. But what did it look like 50, 60 years ago? Was it a big deal when it was integrated? 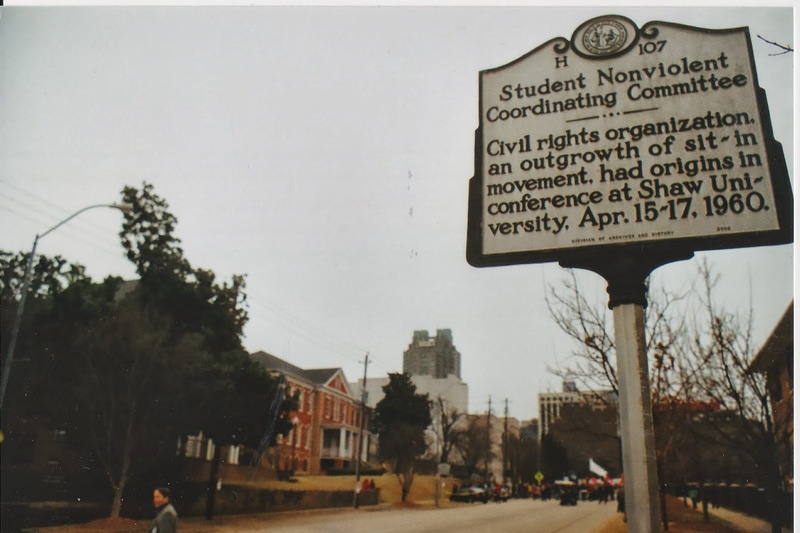 What did the segregated Pullen and Chavis Park look like? Were there issues, protests? These are the types of things that my journalistic mind obsesses about. My goal is not to dig up a past that is shameful, sad or depressing. I'm not trying to open old wounds. Although I'm finding plenty of wounds that could be exposed. The one thing that worries me during this process is that people won't understand why I'm doing this and where I'm coming from. It worries me so much that I almost hope no one reads the blog post or sees the photo gallery. BTW I also toured the North Carolina Museum of History fir some inspiration.